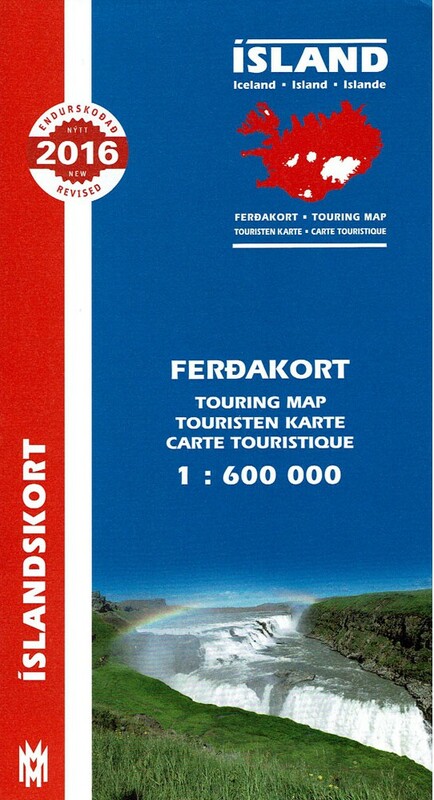 This touring mag is an overall map of iceland, with particular emphasis on vegetation, and hill-shading of the highlands. An essential touring map of Iceland on the scale of 1:600 000. It includes the latest information on the road network, and services such as campsites, swimming pools and golf courses. The map is printed in realistic colors with special emphasis on the highlands. On the reverse side you will find information and photos of places of special interest.